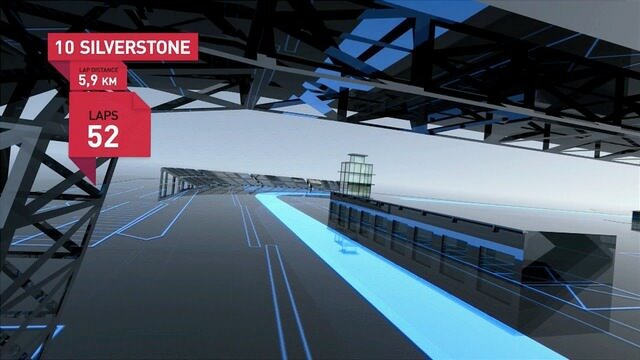 The Silverstone circuit has seen major changes to the layout this year, in order to accommodate a new MotoGP race. The new Arena section has been created, bypassing the Bridge corner and lengthening the lap by 0.4 miles. Mark Webber is the man to introduce you to the new layout, see how he handles things in this Red Bull circuit preview. Frustratingly, the onboard views through the new section of track have been almost completely obscured via clever editing and tight camera work. This presumably is a deliberate attempt by the team to keep their simulator information secret. You could argue that this approach is sensible and in the team's best interest. It does, however, make for a rather useless preview video and I can't claim to be any the wiser. Still at least Mark seemed to enjoy himself. Previous post Can Ferrari win before the summer break?